vinyl wrap to create an individual look. Looking for something a bit more fiery and exciting? We offer bespoke design consultancy on everything we do. sections and using vinyl to detail your car. Look for hoardings, signs or custom wall graphics? We do all of them too! Here at The Vehicle Wrapping Centre we are proud to offer a range of bespoke wrap designs and applications. From our Leeds, and previously, from our Manchester Centre, we have some of the most talented and experienced designers, wrappers, and vehicle modification experts in the industry working with individual and privately owned vehicles alongside international fleets. We have worked on a wide range of vehicles including cars, motorbikes, vans, buses, trucks, coaches, and even boats. 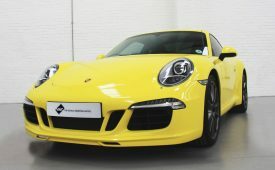 Including full body wraps and partial wraps and decals, we have also had the opportunity to ply our trade on an array of extra special vehicles including horse boxes, food trailers, waste trucks, rally cars, luxury cars and a Formula One car. You might be interested to know that both our wrapping centres are certified to use 3M vinyl – one of the most respected materials in the vehicle wrapping industry. With 55 standard vinyl editions and choices, alongside 20 matte finishes, 22 gloss finishes, six brush metal finishes, four satin finishes, and three carbon effect finishes, the choice is endless. Contact us today for a no obligation quote, or use our design consultation form for a design consultation form with one of our experts. 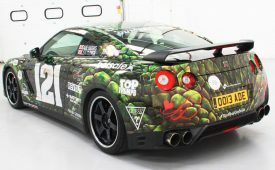 We employ our very own specially trained car wrap designers. Experts in vehicle and advertising design, they have worked on an array of private and commercial vehicles and are more than happy to speak with customers about bespoke designs. If you have a design idea you’d like to explore, check out our design consultation page. 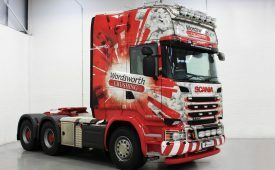 For haulage companies looking to change up their livery designs, we are well experienced in creating some of the most impactful and creative truck cabin and HGV wraps on the road. Our team works with you to ensure that your new cabin wrap looks and says exactly what you want. 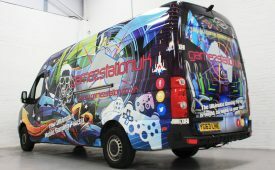 Trusted by companies throughout the UK, we have designed and implemented full wraps for countless vans and fleets. From the smallest vans to the very largest, our expert wrappers have worked on vans of all shapes and sizes. Take a look through our commercial wrap pages to see some of our best work. We are a UK company with a passion for professional car and commercial vehicle vinyl wrapping. We currently have Centres in Leeds and previously in Manchester. So, if we’re not already in or around your area, we may be very soon! We wrap personal cars, vans and motorbikes as well as commercial fleets of cars, vans, trucks, boats, buses, and motorbikes. So if you have one car you’d like wrapping, or a full fleet of vehicles, we can do it. We have in-house graphic design teams who are there to support you throughout the entire design process. If you come to us with either a very detailed plan of what you would like or a vague idea, we can convert your ideas in to a truly eye-catching bespoke design which will be custom made to your vehicle. Whether you are in need of a standard colour change, a digitally printed wrap wrap, some carbon fibre or camouflage effect, or even commercial van signwriting, we are here to help. Your vehicles, whether they are personal or a commercial fleet, can be as unique as you or your business. The only limitation is your imagination! Our technicians at the Vehicle Wrapping Centre are experts in applying Xpel’s polyurethane films, which offer protection to the surface of vehicles. Protecting from every day scratches, dents, and swirls caused by stones, insects, tree sap, and other environmental dangers. We tint windows as well. Using quality window films from SunTek & 3M, we can ease issues such as glare, UV rays, in-car heat, lack of privacy, and exposure of valuable items to thieves. With all these problems being eliminated by one simple window film, you may wonder why you didn’t choose to get your windows tinted years ago! What ever your print, graphic or livery needs our expert design and application teams are on hand with a solution to guide you through the process. No job is too small or too large for us here at The Vehicle Wrapping Centre. find the answer to on our website - please do get in touch.